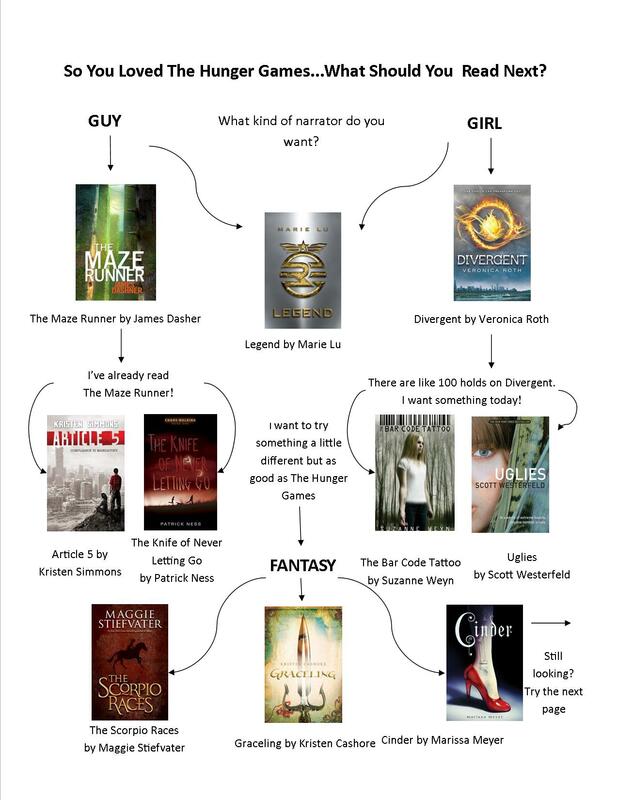 So you loved The Hunger Games…what should you read next? If I had a nickel for every time I have been asked to recommend a book that is “like The Hunger Games,” I could double my paycheck. 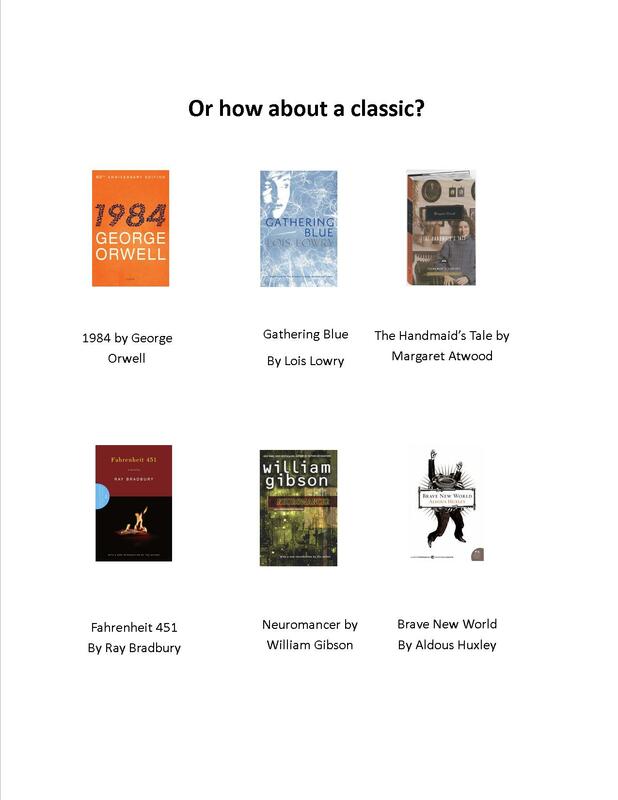 It’s great that kids are excited about reading, but I hate that even though we have multiple copies of the most popular read-alikes, they are often checked out. 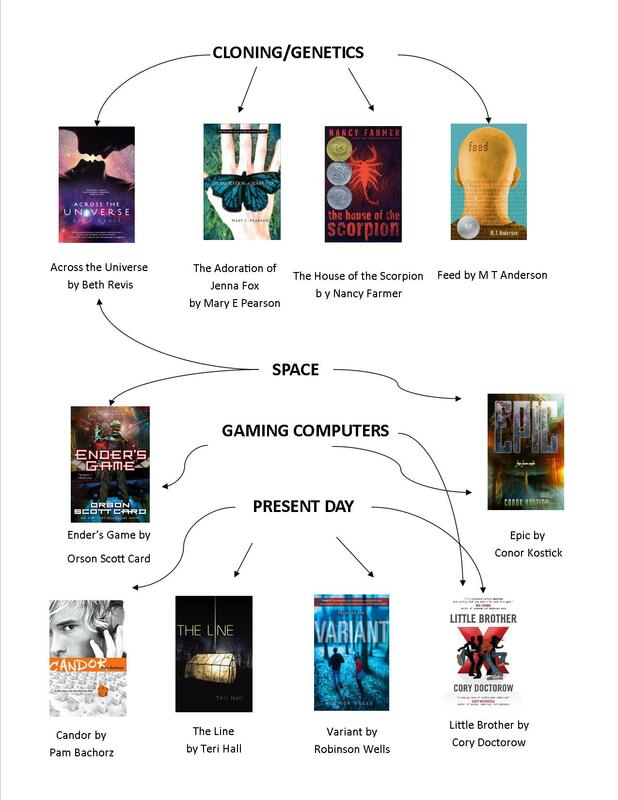 Our dystopian/post-apocalyptic reading list hadn’t been updated in over a year, so at first I started to add to that, but I realized that it wasn’t capturing everything that attracted readers to The Hunger Games. It was also difficult to organize. 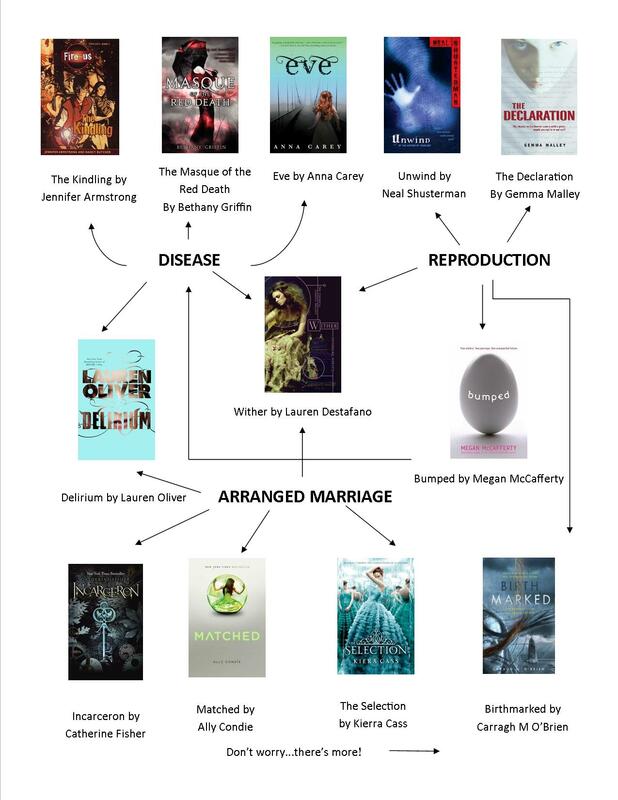 I’ve seen a few infographics on dystopian fiction, like this one from Goodreads that has lots of fun facts about the history of dystopian fiction and this one from E M Bowman that outlines the elements of dystopian fiction, they were highlighting ones that were already popular. There was a list compiled by 2 Busy Brunettes that is a great resource, but I wanted to expand the list beyond the 7 traits they identify and include books with male protagonists. I didn’t worry about only including dystopias and post-apocalyptic novels because I wanted to cast a wider net so the chances of having a book from the list available to check out were higher. 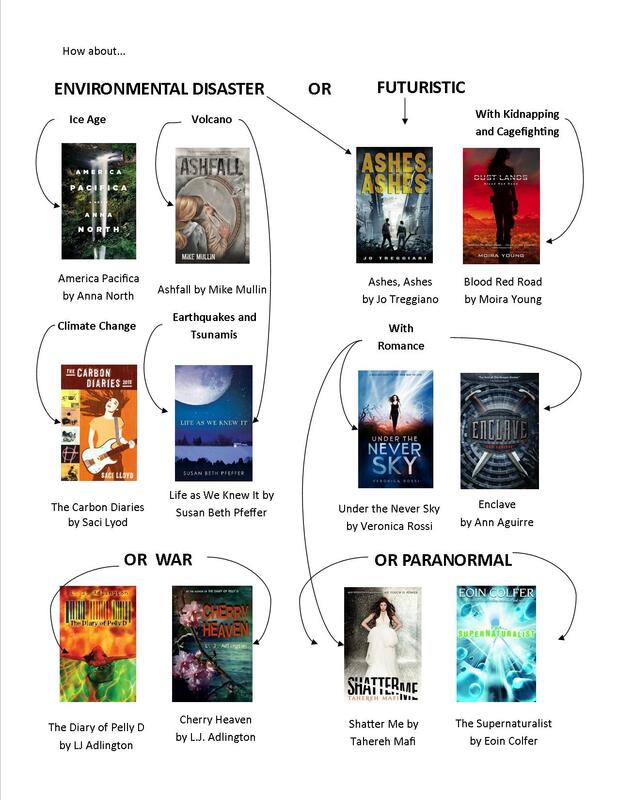 So, despite my lack of graphic design skills I set out to organize a reader’s advisory sheet that went beyond just a list. Here’s what I came up with. I haven’t read all of these, so I’m not 100% sure I got all my labels correct and it is entirely possible I’ve overlooked some great titles. What you would change or add? You can also find a copy of a pdf file here if you would like, but I’d love your feedback on errors or omissions, too. Certainly! I get requests for the pdf on the library blog all the time. I’ll email you one from work. This is AWESOME!!! Just reblogged and Tweeted it. This is GREAT for fans of THE HUNGER GAMES who are wondering what to read next. Very cool graphic! And the chart…was great. It got a laugh out of me. Glad you got a chuckle out of it! What more can I say? Just read the freaking article. It’s free! I’m DRUNK!